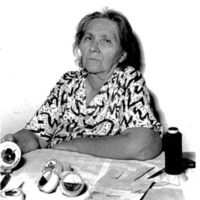 Birch box crafting is primarily a women’s art. 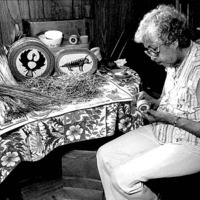 The craftswomen in these photos are clearly proud of their handiwork, both as artists and as people preserving a traditional art form. 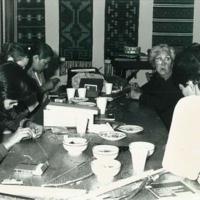 In the photo Maime Migwans of the M’Chigeeng First Nation is seen leading a workshop for young people. 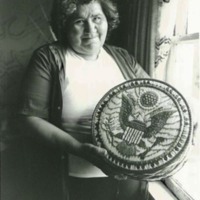 Quillwork is a form of embroidery that is indigenous to the peoples of North America. 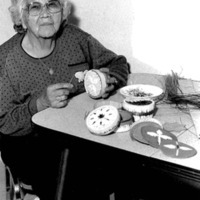 In many regions, quillwork became less popular as glass seed beads became more readily available, but Ojibwe craftspeople continue to work extensively in this medium. 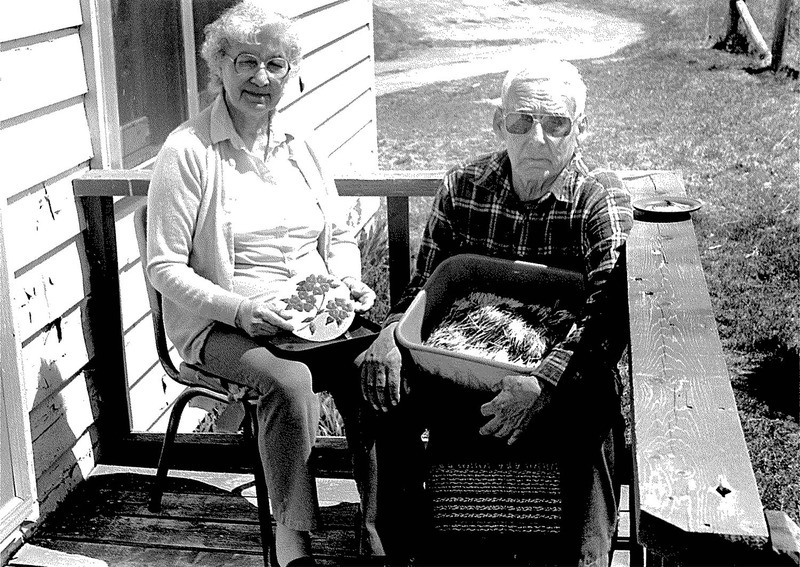 When porcupine quills are collected, they are white, stiff, and hollow, as seen in the photo of quillworker Helen Trudeau and her husband, who is holding a tub of quills for preparation. Quills are softened, using the traditional method of chewing or the modern method of soaking in hot water, which makes them easier to flatten. Once flattened, the quills can be dyed using either traditional natural dyes or commercially available dye, like Rit Dye. Once the quills are softened and dyed, they are stitched through the birch bark, like thread through fabric. When the design is complete, the loose ends are bent under the inside of the container, creating a seamless look from the outside.